The Young Journalist Club (YJC) is a special project for ambitious young journalists or social media influencers who care about global peace and sustainable development at any level. We created this project to let students experience firsthand real world experience in journalism and social media marketing for a good cause. We believe that every member of the YJC plays a valuable role in promoting the many inspiring messages of the Nobel Peace Laureates, ultimately making our word a better place to live for all. Starting from 2017 the Permanent Secretariat turns Young Journalist Club into an on-going long-term project. Apply now to join the team and win a trip to the next World Summit as a PermSec team member! Description: YJC is a special program within the Summit developed for young professionals in journalism, communications, and social media management to improve their skills, gather new experience, and take on an active role in the regular duties of the Communication Team of the Summit. Credentials: To apply for the YJC Program, students should have educational or professional background in one of the following areas of expertise: journalism, press services, social media. Among must-have credentials are a strong English language (spoken and written), proven professional experience, and any additional language should be an advantage. Participating youth take part in communication activities of the PermSec on a volunteer basis and can be granted with a certificate and a reference at the conclusion of the program. Tasks to fulfill throughout the year: writing articles and text materials about peacemaking, creating content for social media, translating texts into other languages, and being engaged in the work of the press office. Stories which rise to the top will be published on the Website and Facebook of the Permanent Secretariat. Best Young Journalist: The best performing Young Journalist will be awarded with a trip to the next Summit including travel expenses and accommodation, a Press Pass at the event, and a one-to-one ten min interview with a Laureate or Nobel-Prize Awarded Organization.  Other well performing students will continue to be granted membership credentials for the YJC at the Summit, with a Press Pass, and will have a group interview for fifteen minutes with a Nobel Peace Laureate or Organization.